I am very disappointed in Mr Bernard Ecclestone. This has very little to do with his latest silly statements and disappointment that Hamilton did not become champion, alhough these are symptomatic of how his only consideration these days seems to be the television ratings. There was a time when Bernie was the great... well, the little white hope of Formula One. He bought the Brabham team in the early seventies and, with the assistance of the gifted South African designer, Gordon Murray, he made it into one of the best small teams on the grid. Those Parmalat-sponsored cars were the prettiest of the lot and, when Bernie gave up on the hopelessly unreliable Alfa Romeo engine and returned to Cosworth power, they rewarded his efforts with two driver's championships. By then, Bernie was becoming involved with FOCA, the Formula One Constructors Association, that was to take on the might of the FIA in the early eighties. They lost, but Bernie had already become the darling of the British F1 fans for his spirited defense of the little guys against the combined power of Ferrari, Renault and the FIA. When Bernie decided that he liked the rough and tumble of F1 politics and sold the team so that he and his sidekick, Max, could invade the FIA to change things from the inside, we all thought that F1 would be set upon the right path at last. And so it proved, for a while. Max did a lot of good work in making the sport safer and Bernie taught it how to make money by selling the television rights to the right people. For a while, F1 prospered. It couldn't last, unfortunately, and those two great corrupters of man, power and money, began to work their spell upon the brave twosome. Bernie became single-minded to the point of obsession over television ratings and, at Indy in 2005, Max broke away from his owner and set a course for ultimate power. It is clear from many of Bernie's statements that he knows Max is doing great damage to the sport now but he seems completely unable to curb his excesses, consoling himself by inventing ever more fantastic schemes for increasing the ratings. In 2007 Max has revealed himself as the real "Mister Formula One" with an apparently unending series of high-handed decisions and dire punishments for any who cross him. His dismissal of the manufacturer teams' suggestions for a way forward on the engine formula for the sport are pure dictatorialism - we can discuss it, yes, but if you don't agree with me, I'll make it happen anyway. It is no wonder that people are beginning to remember Max's father. How long can it continue before he sparks a revolt that ends his reign and changes the way F1 is governed? I cannot believe that the manufacturers, having apparently reached agreement with Max over the future of the sport, will sit back and let him run the show in complete disregard for their wishes. They must surely use their undoubted power to bring about change. And Bernie is reduced to giving inane little interviews in which he talks about how Lewis Hamilton "should" have won the championship and how he hopes that Kimi Raikkonen will learn to talk (fat hope). These are the ramblings of a man who has fallen from grace and has nothing left but to play with his toys, while his former lapdog, transformed into a pitbull, ravages the sport he once knew and loved so well. I am so disappointed in him. If any man were able to introduce some reason into Max's thinking, it is Bernie, but it seems that he has given up and prefers to turn a blind eye to what is happening around him. No doubt he will go too when Max is finally shown the door. It is a shame though. To me, Bernie will always be the man who gave Nelson Piquet his shot at the world championship, the leader of a well-turned out team of excellent cars and the champion of the little teams. All the political stuff that followed is just fluff compared to that. I hope he enjoys his retirement. Why? Just because he's in a public position he can't speak out his mind? After all, F1 is passion, and he's a passionate guy who wanted his countryman to win the championship. I don't see nothing wrong with that. Now Max, well, he's just lost it. "...[Max Mosley was asked] whether Ferrari was more important for the sport than other teams. ...Mosley insisted all decision were made from an entirely neutral standpoint, and underlined the importance of ‘protecting' Ferrari's vulnerability. Are you kidding me? Didn't we learn in 1939 that you can't give someone power without a way to check that power? I have no objection to anyone speaking their mind, Haplo; the problem is that Bernie's mind seems to be filled with nothing but TV ratings these days. Everything he says relates to how matters will affect those ratings and I detect no passion for the actual sport at all. He wants Hamilton to win for the sake of the ratings and Kimi to speak more because that make better TV. Good grief, has the man forgotten that F1 fans watch for the excitement of the racing, not so that they can hear the platitudes of the drivers afterwards? Let's hear what Bernie has to say about the things that will affect F1 in the years to come - the ten year engine freeze, for instance, a president who thinks nothing of uttering and sticking to cheap insults of respected F1 personalities, who says he will discuss things but do what he wants in the end anyway. He won't, because he knows Max is a disaster. What a terrible thought, Neil! And what if you are right...? I completely agree with your views that all of bernie's actions and words are influenced only by financial matters of the business that is F1. But i dont agree with you that bernie's has become a puppet in F1 lately. Truth is, he became a puppet in F! the day he sold F1 commercial rights to CVC. He is only an employee/agent of the mighty owners who has been retained because he knows how to run this dog eat dog business. But, to be fair to him (omg, i am becoming the devil's advocate!! ), selling F1 commercial rights was a more a personal decision in his life i would like to think. Not often you get an opportunity to sell your empire and make millions and still continue to run the business and make money!! (ask Steve Jobs!!) And so he chose to do that. At your 70's and especially when your business isn't doing THAT well due to global recession, thats all the motivation you have to fight with it. One another thing is, every time the topic of high fee for circuits comes up, all of us pounce on this old man and brand him an avaricious b******!! In reality that title belongs to the new owners, CVC (and may be even the members of the GPMA) and bernie's is just their agent. All said and done, it is really sad to see F1 taking a path of self destruction especially when the driving talent and championship fights seeming to be the best in many many years together and bernie for whatever reason holds a part of the blame for that. All true, Uppili, and, in spite of his millions, it still makes me sad to think how far Bernie has fallen in his quest for money. There are still the occasional flashes of the old spirit in some of his utterances and I cannot forget that once he was our best hope for the future of F1. I disagree. 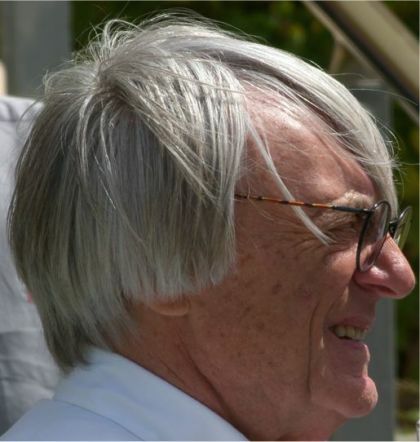 Bernie has done wonders for the profile of F1 across the world and without his influence the sport would suffer. I admitted as much in the article, Sports. My point is that his influence on the sport in areas other than its publicity has ceased, so that Max now rules without any controlling influence at all. Bernie seemed to have lost his aura after the Indy incident of '05 in my opinion. He was probably supporting the team because that was in the best financial interests of the sport but he did seem to have the health of the sport in mind. The sport is now dominated by manufacturers who will only be in it as long as the money is there. Bernie manages to keep their pockets bulging. Theres a possibility that without him we would be back to small well run teams. I am against manufacturer teams being in F1 anyway, Dan, since they tend to leave when they feel like it, just as you say. But the fact is that they are in at the moment and are the best hope for forcing change upon the FIA - they have a lot more muscle than small teams do. Small teams have tried before to beat the FIA and lost but I don't believe that manufacturers will. So we must hope that they become unhappy enough with the mess that the FIA is creating to do something about it. I would like to thank you guys for giving me the history lesson. In life we all set goals either for ourlselves and/or for our business. So I wonder if both Max and Bernie have goals. What do they want F1 to look like when they leave. It is obvious that they both knew what they wanted this to be when they took over. Max is beginning to destroy the things that he built. It is human nature for people to remember the negative more that the positive. So all these bad decisions and statements will far outweigh the positives that they have done. Look Bernie needs to stop Max. Then we need someone to control Bernie. F1 is bigger than ever and they are making money hand over fist so Bernie's position is stable. He does make the decisions purely on a finacial basis and this is going to be his demise I feel. Some very, very important decisions are going to be made in the near future. These decisions will shape the sport for the next 25 years or more. Do we trust Bernie to make these decions. We have technology doubling sometimes in weeks things are growing so fast can Bernie handle this. I think he can. Max on the other hand is beginning to show signs of Alzheimer's disease. I don't say this lightly. The engine freeze. Just recently he publicized to the manufactures that he wanted the engine designs to become more environmentally friendly. Remember Biofuel. The engine of today is what he wanted improved. Now we also know that these same manufactures began spending real money on R & D for this. And yesterday he drops this "freeze" bomb. Something is wrong with him. His "posse" is not saying anything (remember the king with no clothes) to him. Someone must before he does some more serious damage!!! I am living with it now my mother in law lives with me. It is a horrible disease!!! One of the worst, John. And especially hard for those who care for the sufferer.